What a delightful time we had at GCO’s event. 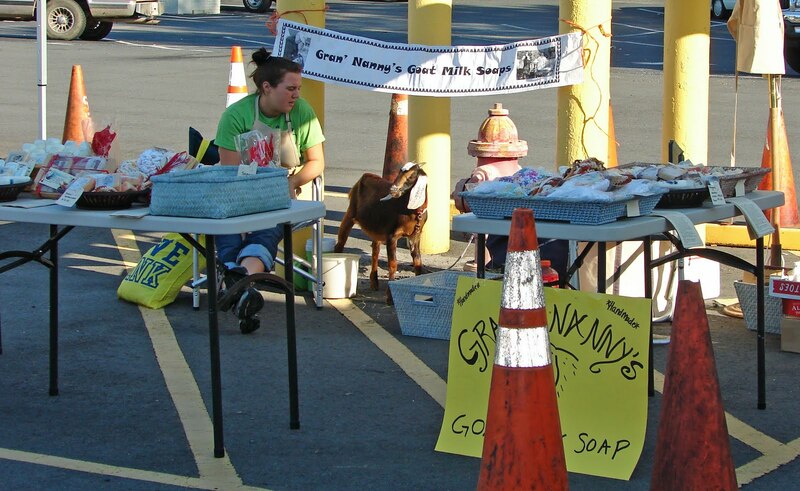 GCO has hosted this Hospice of Stanly fund raiser for the past two years, and we’ve been there, too. GCO has been a customer for several years so anything Nathan needs, we do our best to accommodate. Like last year, we donated several products for the hospice auction. Actually, all the vendors donated special products or services to help rise money for hospice. Listening to the auctioneer’s chant always gets folks in the mood for spending. Cool. Throughout the day, we chatted with customers and folks came by our booth to meet Natalie. I’m amazed at how many folks had goats in their youth. Love your stories. Yes, goats are incredible creatures. We’re blessed to have them. Our favorite spot is by the fire hydrant. It’s perfect for goat poop and protection. However, we always bring a broom and dust pan for cleaning up after our goats. It’s OUR poop. We haul it in; we haul it out. Moving on … . October begins our festival season here in North Carolina so we always have tons of soaps for the events. Usually the weather is perfect with gentle breezes and an occasional slight overcast. The umbrella came in handy, though. It’s light weight enough that we could move it throughout the day making sure the ladies had shade, got to protect those fair skins. Remember: too much sun can be harmful to your skin. Always use a sun screen. Attending festivals is new to us but we’ll be pros by the end of the season because we’re going to attend as many as possible. Our camp is made up of light weight tables, portable everything, as many wheels as possible, and fresh, good looking merchandise. This year we unveiled our Sensual Sandalwood Goat Milk Soap with Natalie’s photograph on the label. Have I mentioned that all our products have a picture of a goat? 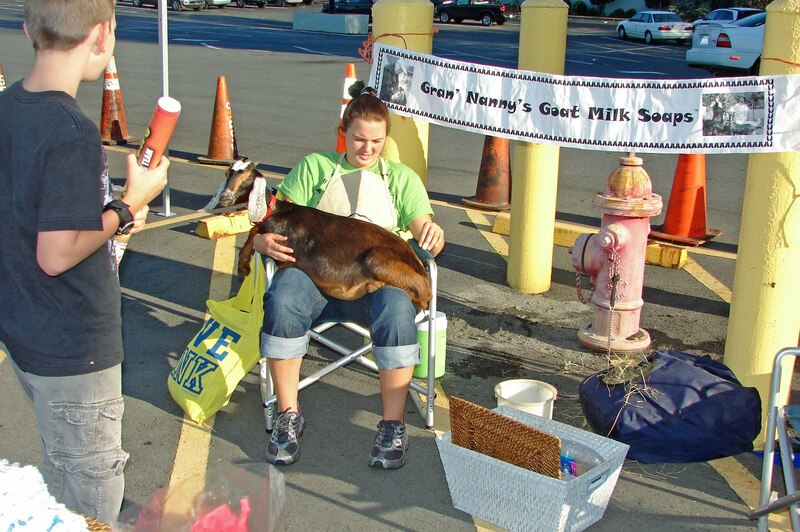 It’s our way of honoring the herd that makes our goat milk soaps and lotions possible. Goats are excellent companions. They get in and out of the truck by themselves. They can carry their weight in supplies (with care), and they work for water and grass. Natalie drew a crowd and let dozens of folks pet her while I was working with customers and talking about our goat milk skin care products. As soon as we make more decisions on which festivals we’ll be attending, I’ll broadcast our schedule so you can come meet us. Meeting customers is truly enriching for me. I look forward to chatting with you.